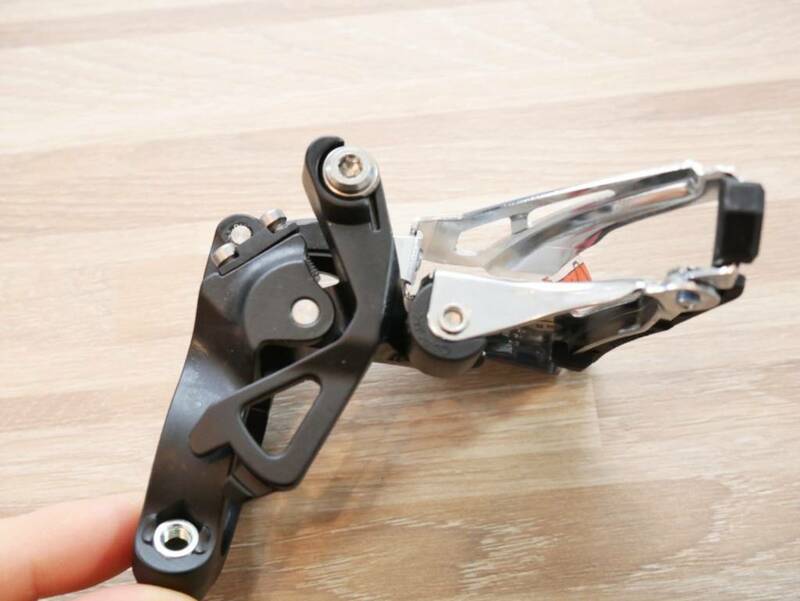 E2-Type - the derailleur is also secured directly to the frame, but with two bolts (E-Type was the previous generation). 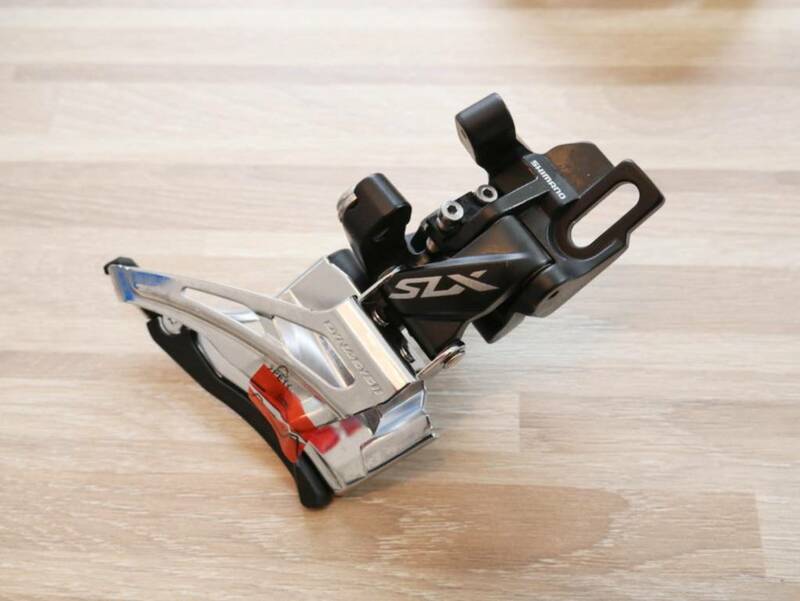 Side Swing - the derailleur swings sideways and is pulled from the front of the bike). 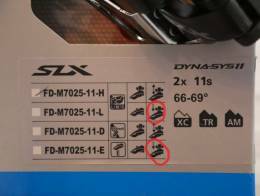 Down Swing / High Clamp front derailleur symbols. 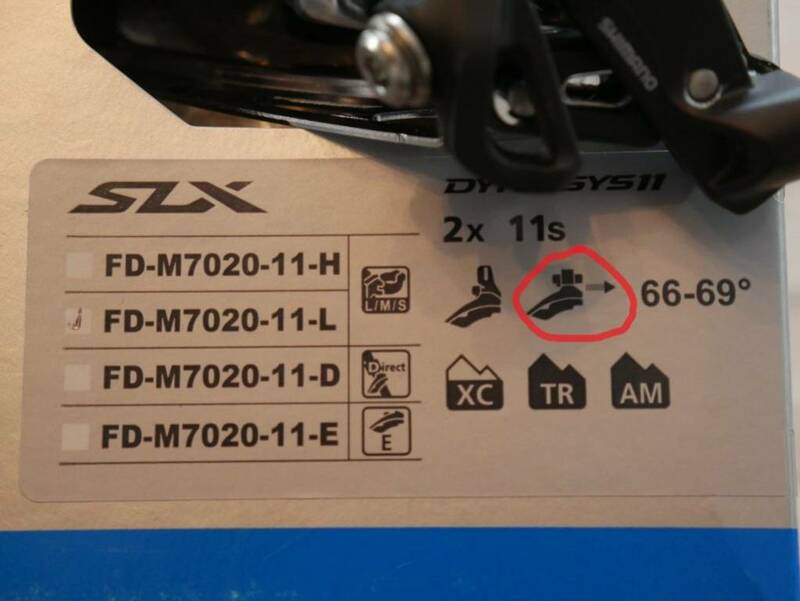 Top Swing / Low Clamp front derailleur symbol. Low Clamp on the left. High Clamp on the right. 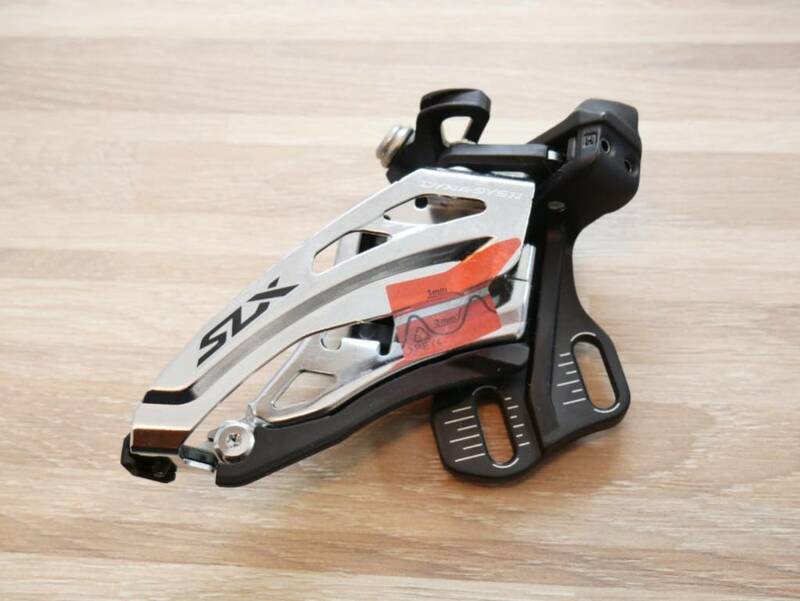 Vertically positioned spring on Side Swing derailleurs. 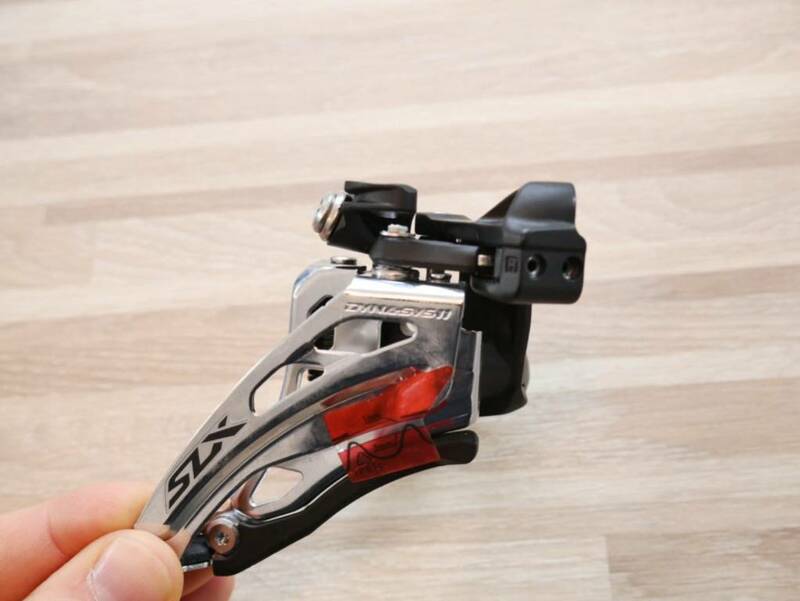 Front Pull - Side Swing derailleurs will have the cable coming from the front of the bike. Dual Pull systems allows to guide the cable from either sides. Front Pull system is used only on Side Swing derailleurs. The cable comes through the guide from the front. 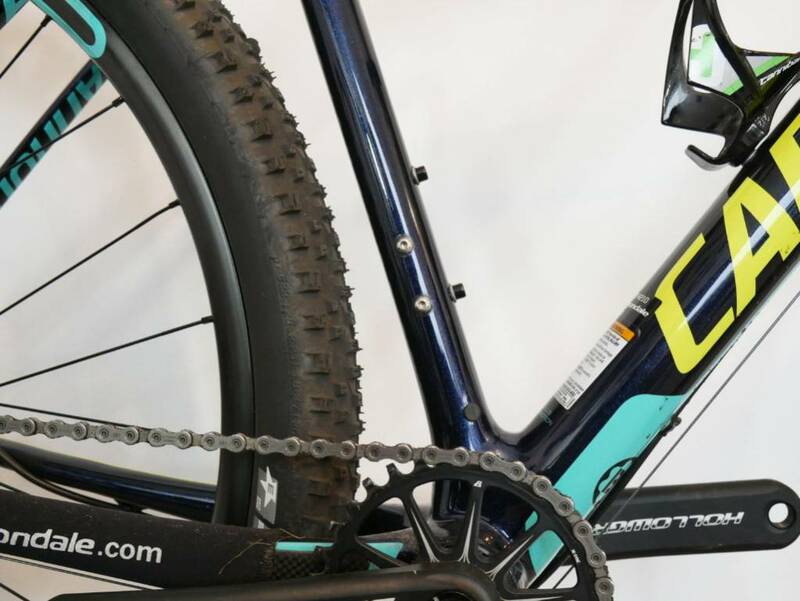 These two silver bolts on the side of the seat tube indicate, that we can use here the Direct Mount front derailleur (the adaptor comes FIRST). 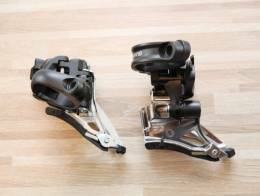 If there were two bolts, but positioned much lower, that would fit the E2-Type derailleur. 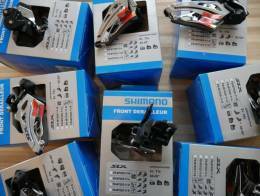 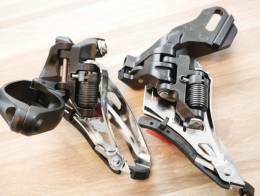 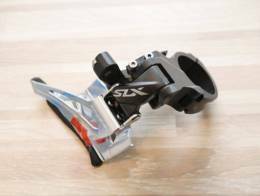 No bolts or threads at all means - buy the clamp-on rear derailleur.